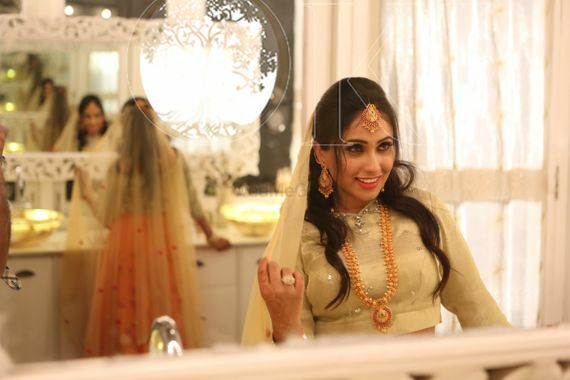 The springtime flowers against the backdrop of a beautiful sunset is what inspired the designer to create this colourful and lively bridal lehenga ! If you are looking for a fairytale wedding dress This is The one for you! 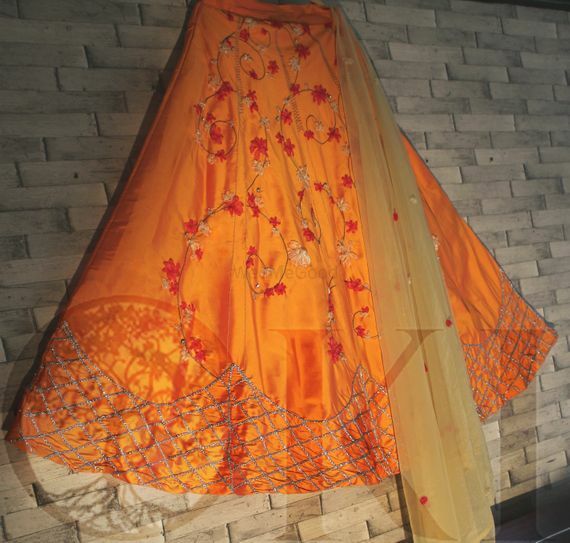 In bright springtime colours and woven with beautiful organza ribbon embroidery flowers and creepers, studded with stones surrounded by exquisite embroidery .This lehengas is the perfect summer wedding dress made with dual-tone pretty orange raw silk fabric .